The LumiScale is a self-illuminating bar-code staff. 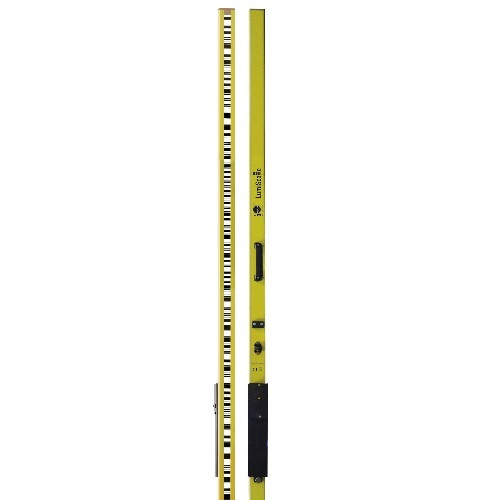 Bar-code staffs are used in underground or tunnel construction applications. With regard to its precision LumiScale is classified between traditional leveling staffs (DIN 18703) and precision leveling staffs (DIN 18717).The LumiScale graduation is backlit via a electroluminescent foil which, contrary to an external illumination, illuminates the entire graduation and does not form shades.